Galley Bay Antigua is an adults-only (16+), all-inclusive retreat, perfect for the discerning traveler seeking to visit St. Johns. Situated in a secluded setting, amidst forty acres of tropical gardens and between a bird sanctuary, lagoon and pristine, sugar-white beach, Galley Bay Antigua is bathed in beauty. Thatch, bamboo and terracotta establish an ambience of refined rusticity in the public areas, while a picturesque wooden deck ensures maximum exposure to the ocean views. There is little disruption from the outside world as access to the resort is via a wooden bridge traversing the bird sanctuary. This is the perfect, stress-free Caribbean escape for couples seeking a romantic getaway. 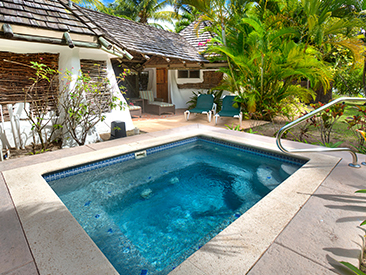 Galley Bay is an adults only (16+) all-inclusive retreat perfect for the discerning traveler. It enjoys a secluded setting amidst forty acres of tropical gardens between a bird sanctuary lagoon and a pristine sugar-white beach on the tranquil west coast of Antigua. 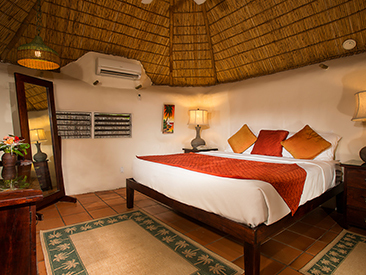 Great care has been taken to ensure the resort complements these natural surroundings. Thatch, bamboo and terracotta establish an ambience of refined rusticity in the public areas, while a picturesque wooden deck ensures maximum exposure to the ocean views. There is little disruption from the outside world as access to the resort is via a wooden bridge traversing the bird sanctuary. 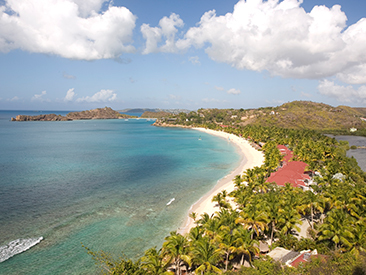 This is the perfect stress-free Caribbean escape for couples seeking a romantic getaway. All Honeymoon couples receive complimentary Honeymoon gifts of fruit or flowers and sparkling wine or champagne in-room upon arrival, with VIP check-in. Just note "Honeymoon" at time of booking, and we'll take care of the rest. It is also a good idea to take along a copy of your marriage license. Special honeymoon add-on packages are available for purchase as well. Adults Only - Most of the Time! In keeping with the resort's reputation as a leading honeymoon, wedding and couples romantic escape - Galley Bay restricts the ages of guests to 16 and over, with the exception of the Christmas/New Year season. All guests are welcomed at the historic sugar mill reception area and whisked by golf cart to one of the 98 rooms, cottages and suites. More than three-quarters of the accommodations lie directly on the white sand beach; the remainder tucked away in the gardens and boasting their own private splash pools.